Only a few live to be a 100 years old in the 21st century as life expectancy keeps reducing due to many factors including healthcare quality, lifestyle choices, diseases and wars among others. The World Health Organisation (WHO) estimates that the average life expectancy at birth of the global population in 2015 is 71.4 years (68 years and 4 months for males and 72 years and 8 months for females). However, Barbados was hit by a conundrum after its 2016 census when they counted 114 centenarians alive. They include only 11 men. 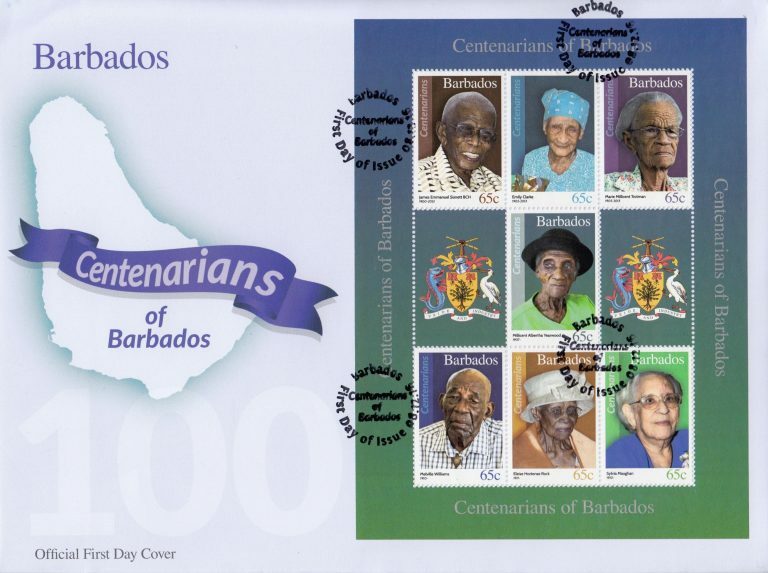 This was good news, but a big problem for Barbados where they honour centenarians with postal stamps. The country’s National Committee on Ageing (NCOA) found that the number will further increase in 2017 as 48 more centenarians will join the club. This prompted the change in rules. Barbados decided to honour only individuals who have made an outstanding contribution to the country. 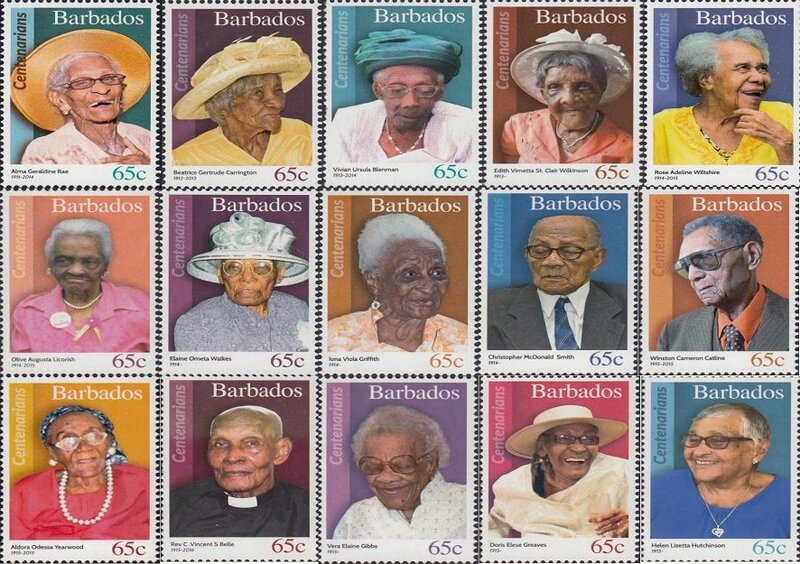 Therefore, 27 stamps priced at 65 Barbados Cents (US $32.5) were released last year featuring 27 outstanding centenarians. Below are the stamps of the 27 lucky centenarians of Barbados.